First published: London, Chapman and Hall, 1866. 3v. In no other novel is the essence of Trollope so concentrated. Using a cast of four principal and as few subsidiary characters, he fills three volumes with the matrimonial dilemma of Clara Amedroz,who has to choose between the uncouth farmer Will Belton -to whom has passed her thriftless father’s estate–and the polished, selfseeking Captain Aylmer…. The theme is commonplace; the incidents unsensational; the treatment unassuming and serene…. To a reader in sympathy with the Trollopian method and mentality, the book is a delight for its smoothness, its subtlety and its faultless adjustment of character and circumstance. 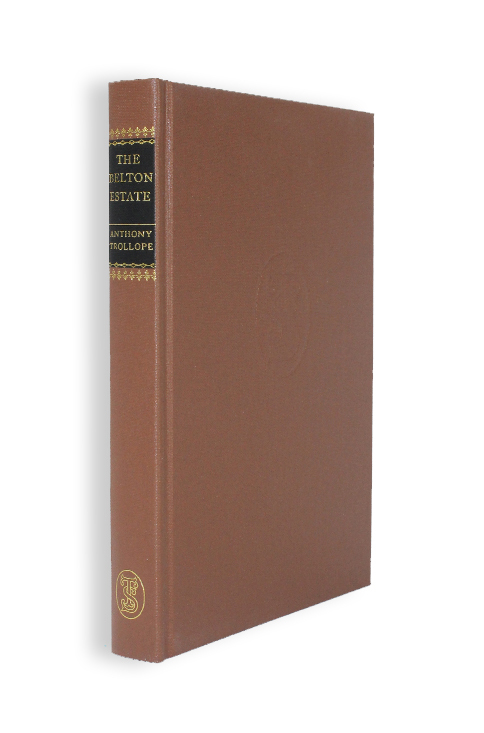 The Belton Estate is vintage Trollope, and possibly the subtlest of his novels. Written in 1865 and published in book form the following year, it tells the deceptively simple tale of Clara Amedroz. Clara’s courage and indomitability help her to survive a difficult (and amusing) confrontation with her intended mother-in-law, which points up the central theme of the book: the obstacles facing a young girl, without fortune or property, on her path towards a happy and successful marriage; and the dependence such a girl has upon her prospective husband. This notion of dependence, and the difficulties of being a woman in a world made by men is mirrored elsewhere in the novel. Clara’s aunt, Mrs Winterfield, is expected to leave her fortune to her niece; yet she misguidedly bequeaths it instead to the indifferent Captain Aylmer after extracting a promise from him that he will marry Clara. The intention is uncompromising: the Captain will manage the money and Clara. And there are the Askertons, friends of Clara who live in a cottage on the estate. They have to endure social ostracism and malicious gossip because they left India together before Mary Askerton, previously married to a drunkard, was free to marry again: they went against convention. The story of The Belton Estate is subtly explored. Trollope was writing about real people and ordinary lives: there are no pantomime scoundrels, no melodramatic developments. The novel is an attack – albeit of the gentlest kind – on dull acceptance of conventional mores, explored through the eyes of the independent Clara.